The format and concept behind this site was never designed to be reactionary. We were looking back at seasons as old as eleven years, and the point was to view those with the same eyes as the ones that watched Fusion. The notion of tri. was some crazy fantasy. While we can apply those same eyes to the tri. movies as they are released, they don't work so well when it comes to dissecting previews, trailers, and all the latest news that pops up in the interim. That's why we've been quiet since April. But since then, it's clear that we may be getting pretty busy pretty soon, with up to three different things we may be writing about kicking up in the next month. Item number one on our agenda is the dub of the first tri. movie. As we said way back when, our inclination is to review the dub as, at the time at least, it was the version most familiar to readers and the version most in need of analysis. We popped over to the Japanese version only when a dub wasn't in the cards- X-Evolution, the Savers movie, Hunters... and until this summer, tri. The aim for an older audience, the more deliberate tone and questions over how much Saban has as far as rights made a dub seem impractical. Turns out Toei's giving it a go themselves, getting much of the band back together (actors for Tai, Sora, Izzy, Mimi, and most of the Digimon are returning) and giving it a proper theatrical release. There are all sorts of possible pitfalls here: actors playing the characters in grade school now have to play them in high school, the new castings have to mesh with the old in a way that doesn't feel jarring, and the trailer music attempts to evoke the nostalgia of the old dub music, which doesn't quite work since it isn't the old dub music (it's better than the old dub music, but that's hardly a satisfying bar). They're promising an experience faithful to both tri. and the dub... which doesn't seem possible at the same time. If the notes we jot down in the theater end up being legible, we'll offer as many thoughts as we can. A week after that is tri. movie 3. Once again, expect an article for every episode starting the Monday after it's up. Determination's success was due to strong development of the new characters and interesting dilemmas for Joe and Mimi to overcome. Plot-wise, it got away with just enough clues and just enough plot advancement to propel us into the next movie. The trailers for Confession suggest that things are now going to get real, we're up for some heavy (and overdue) story advancement, some genuine shocks, and continued hints on the big mystery involving the Zero Two kids. It's all very promising, which is good because now that tri. 's at its halfway point it's out of runway space. Time for it to take off. The biggest and perhaps most surprising news of all is a whole new series! Digimon Universe: Appli Monsters begins in October, and from initial previews, interviews, and just looking at the roster of all the new monsters, it's clear the aim is to wipe the slate clean for a new generation. It's a bold move for sure, but faced with being weighed down by seventeen years of history and tradition, it feels necessary. Xros Wars tried to introduce new concepts and be something different, but often felt dragged down or distracted by the constant flashes of nostalgia, while its superior animation and action elements were overlooked because the human characters weren't as deep as Adventure's. Instead, all of the Digimon are different, smartphone apps dominate the attention rather than a Digital World (which may or may not even be featured), and main character Haru is thoughtful, indoorsy, and intentionally contrary to the usual gogglehead mold. At the same time, the creators of the show understand what made Adventure work, and understand the need for relatable human characters in a story rife with challenge and conflict. They're allowed to break whatever old rules they want with no apology or explanation (a luxury not afforded to series like Frontier or Xros Wars), and if they can still tap into the heart of what made Digimon series work in the past, this freedom could be just what we needed in a new series. We will review Appmon if and when there is an official release in English- subbed or dubbed. Should we not be so fortunate and nothing is announced by the time tri. wraps up, we'll resort to a fansub- but not a moment sooner. Either way, we'll find a way to review it and ensure that every episode of Digimon gets discussed on this site, just as we set out to do five years ago. Of course, back in 2011, who would have thought in 2016 we'd need a post to break down all the new content getting thrown at us? 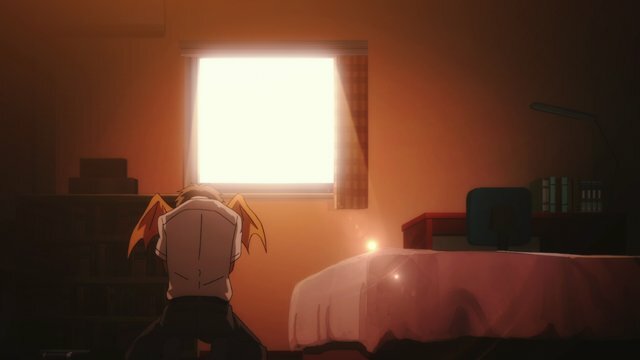 Announcing Seven as the second ending song confused many since there are nine digidestined featured, but the lyrics are melancholy and stunningly appropriate to the movie, particularly when applied to Joe's conflicted loyalty between his future and Gomamon. 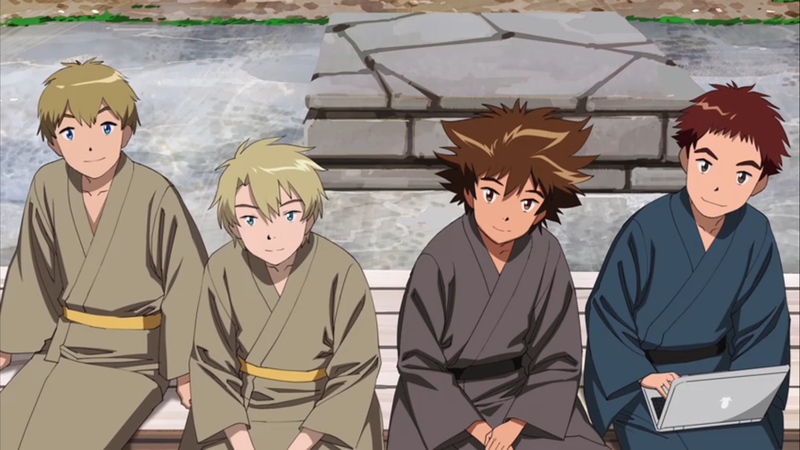 What is confusing is why the ending to a movie starring Joe and Mimi pans across one image of Takeru, Yamato, Koushiro and Taichi. "(actors for Tai, Sora, Izzy, Mimi, and most of the Digimon are returning)"
Also, I'd love to see you review Appmon. Haven't seen it yet, but I've heard it's pretty good, and it certainly sounds promising. I wish I could just rewatch all of those cartoons from my childhood instead of best academic essays but i have to since adulescence comes with alot of responsiblity like its mentioned here.